The angels themselves are quite lovely, I think. They each stand about 3 1/2 feet high. 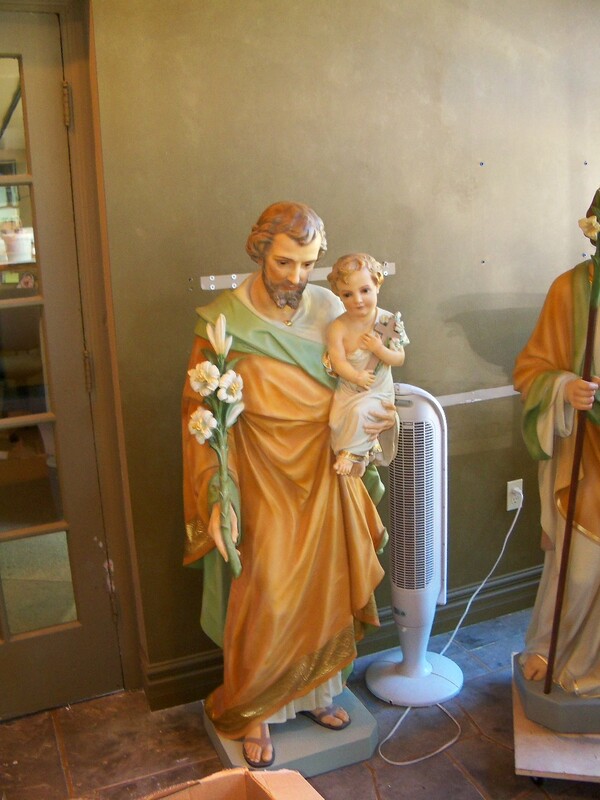 They are now on custom pedestals in our church. 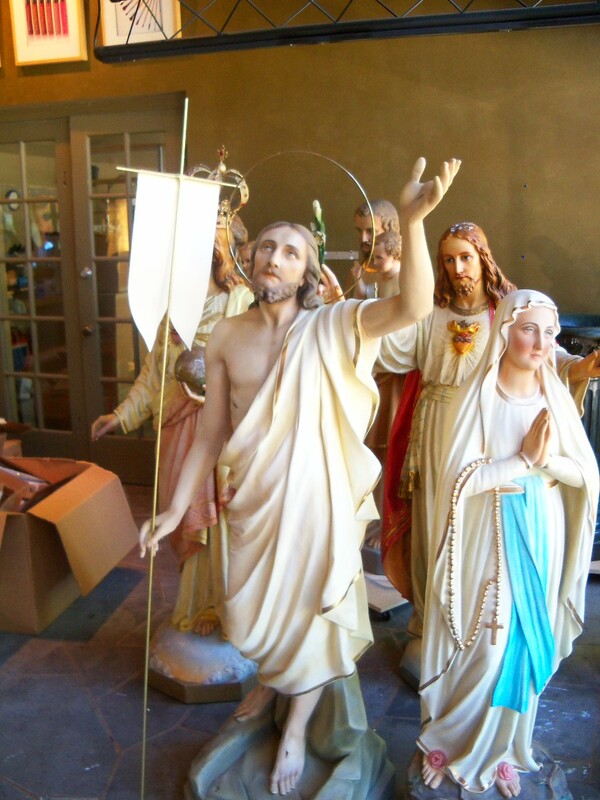 The gentleman who made these statues wrapped them lovingly and thoroughly before placing them in the back of my SUV. Those angels didn’t budge the entire way home. I believe my grandmother was keeping them safe during the ride. Lou McClung is the man who created the statues. He’s really fascinating. 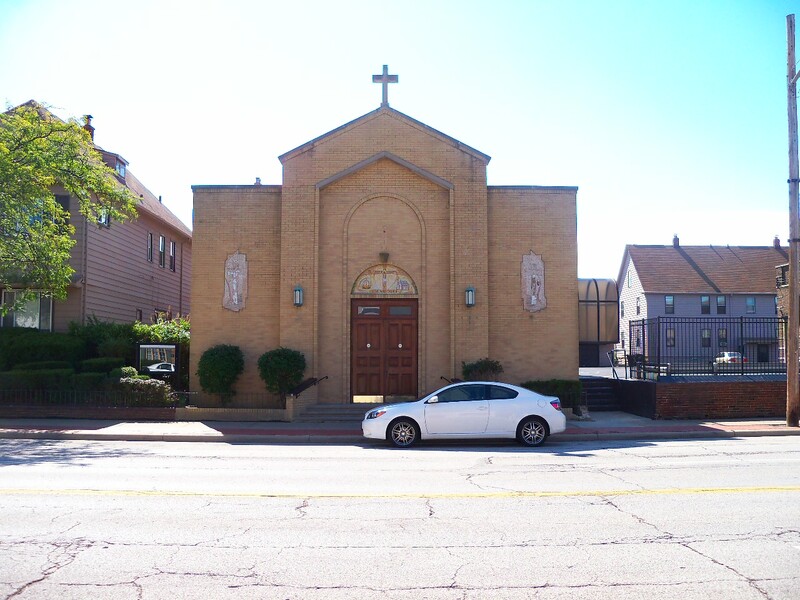 In 2010, Lou purchased St. Hedwig Catholic Church in Lakewood, OH. 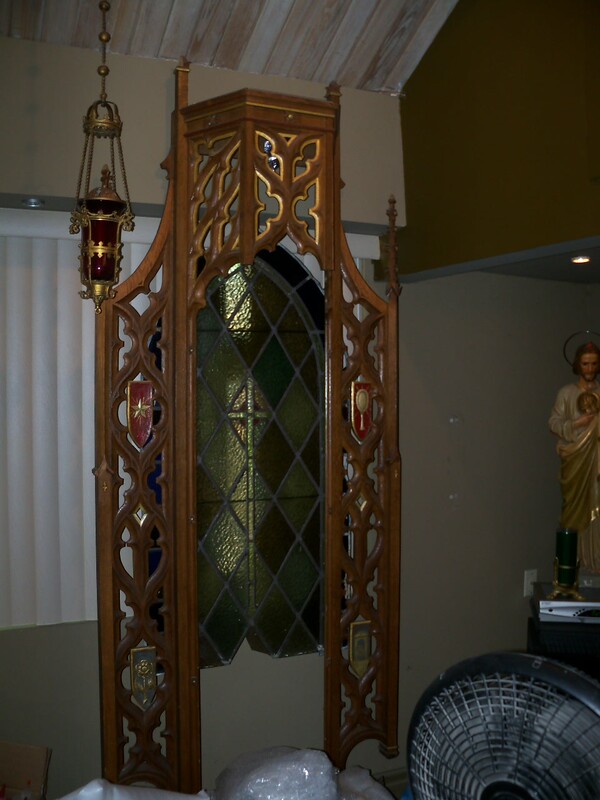 This is a parish that had been closed down by the Archdiocese. He got the church, the school, and the rectory. 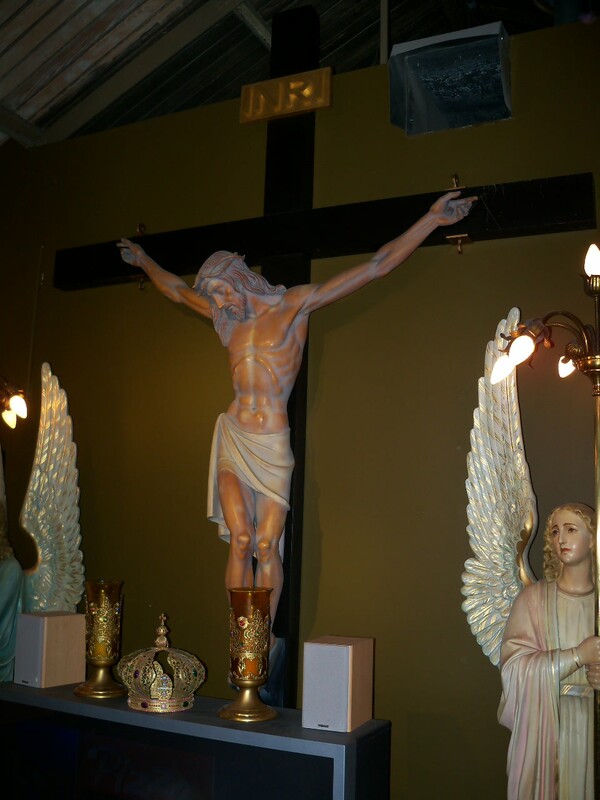 He now lives in the rectory; the school has become the laboratory for the creation of his cosmetic line, Lusso Cosmetics; and the church is now the Museum of Divine Statues. 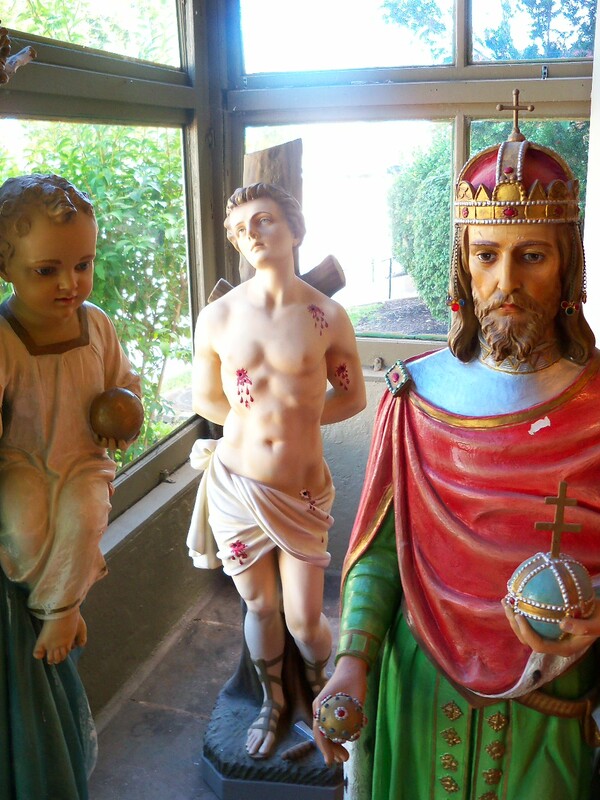 The museum consists of the statuary that Lou has obtained from closed churches in the area. He’s purchased them, restored them, and now displays them. Here’s a video of Lou talking about the museum and his work. 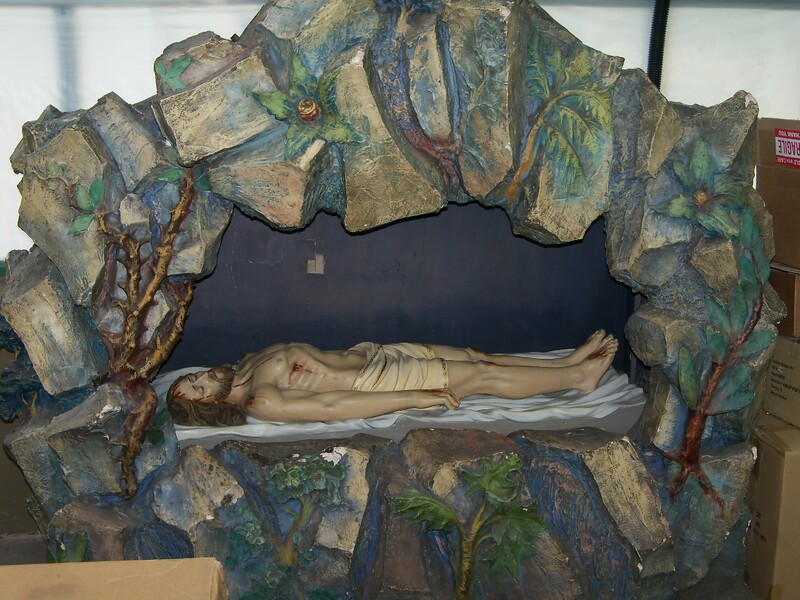 If you’re ever in Lakewood, OH, stop by the Museum of Divine Statues and have a look. I haven’t had a chance to go there yet – Lou was still working on getting the building ready. 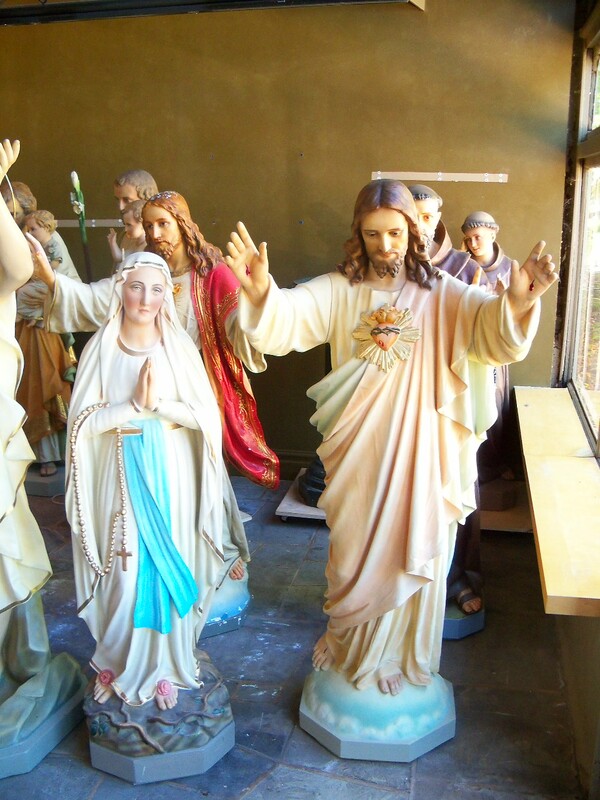 But I got to see many of the statues in his old location. They were beautiful. Even if you’re not Catholic, I think you can appreciate the artwork.